Litmus uses Appcues to run growth and retention experiments, onboard users in trial and post-purchase, increase feature adoption, and announce product updates by providing the right message to the right users at the right time. Within the first 3 months of using Appcues, Litmus ran dozens of experiments that in some cases resulted in a 22X increase in feature adoption. We caught up with the company’s Director of Retention and Engagement Marketing, Tanya Littlefield, to learn how Appcues has helped Litmus strengthen their growth and retention strategy. 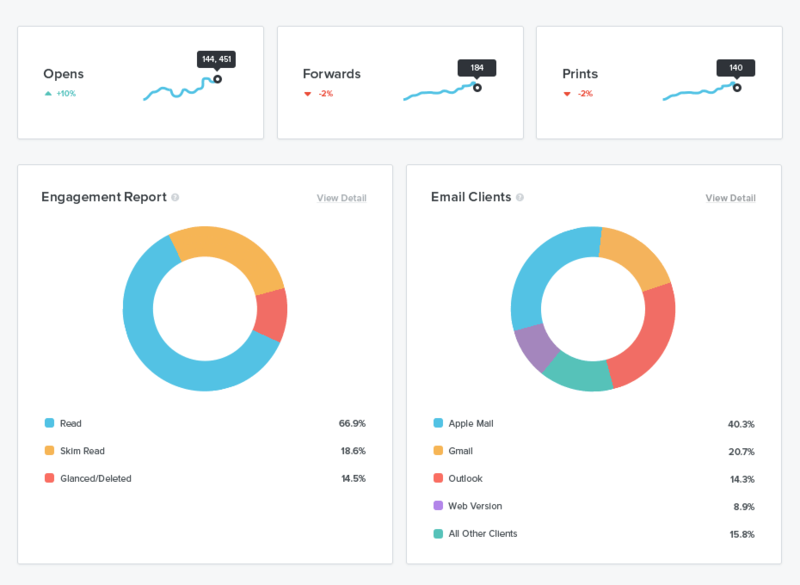 Litmus offers a suite of email design and email marketing tools that help over 250,000 customers build, design, test, and analyze their emails. Their customer base for their ecommerce product is primarily made up of SMBs with small email marketing teams. With the majority of their e-commerce customers on monthly plans, Litmus’ growth and retention teams are focused on expanding their user base and minimizing churn. Litmus understands that their users’ first interactions with their product are critical and that in order to grow and retain users, they have to help their users see the value in their product as soon as possible. Litmus already had email nurture campaigns in place, but the growth and retention teams wanted to move towards an omnichannel approach in order to reach customers within the product to help guide them and promote new behaviors. 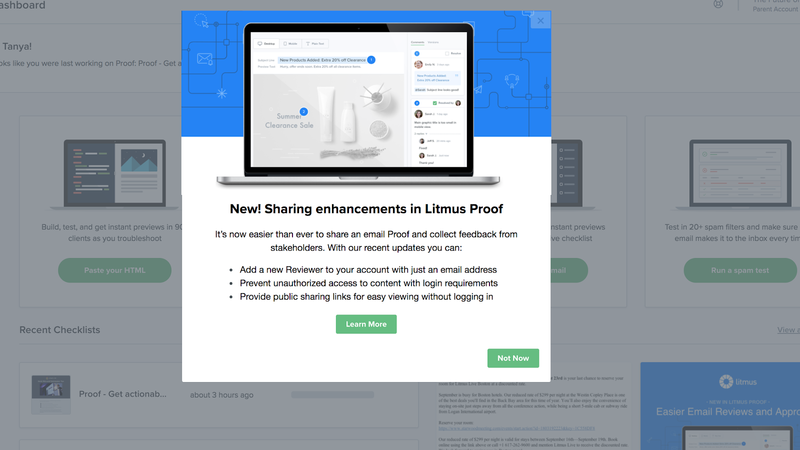 Litmus offers several unique features to their enterprise customers, including Litmus Proof, which allows users to review emails with better visibility, improved collaboration, and a single, centralized platform for sharing feedback. Since Proof’s launch, Litmus’ product team has pushed several updates to this feature in order to improve the user experience. Litmus typically used emails and blog posts to announce these updates, with limited success. For their latest update, rather than sending out an email blast to their entire customer base, Litmus used Appcues’ robust targeting and segmentation to deliver the message to two separate user groups—existing Proof users and potential Proof users. While existing Proof users continued using the feature as usual, 20% of users who had not used Proof before adopted the feature after receiving the update announcement. Litmus also used Appcues to draw attention to Process HTML—a feature that makes it easier to pinpoint and diagnose rendering issues by showing how each email client processes the emails markup. With Appcues’ targeting and segmentation, the growth and retention teams at Litmus were able to validate their ideas through user testing and identify opportunities for modifying user behavior by alleviating cognitive load and prompting users to act at the right time. Experimentation allows you to test hypotheses, discover new opportunities, and ultimately allocate your resources to changes that count—in other words, it should never be an afterthought. It also shouldn’t be a burden. Learn more about Appcues for feature adoption.